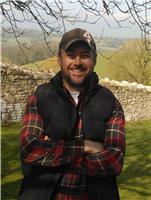 Gardener Greg - Fencing/Gates, Garden Services based in Shirehampton, Somerset. For friendly, professional & helpful advice, contact Greg today & get your free no obligation quote! GardenerGreg.com is a sole trader with over 7 years experience in Everything Garden Maintenance & Fencing in Bristol & North Somerset to Top Quality Standard!! Our 5* SERVICES include: Hedge Trimming (Incl. Hedge Sculpting/Topiary) Tree Surgery, Fencing-Wooden & Concrete Posts & Gravel Boards, POWER WASHING- Patios, Decking & Driveways, , Lawn Cutting & Lawn Care, Shrub & Flower Pruning & Planting, Weeding & Garden clearance, Wildlife Service (Installing Bird Boxes/Feeds & creating areas in your garden that will benefit our Wildlife) , Supplying Firewood & Logs, All aspects of Garden Maintenance!